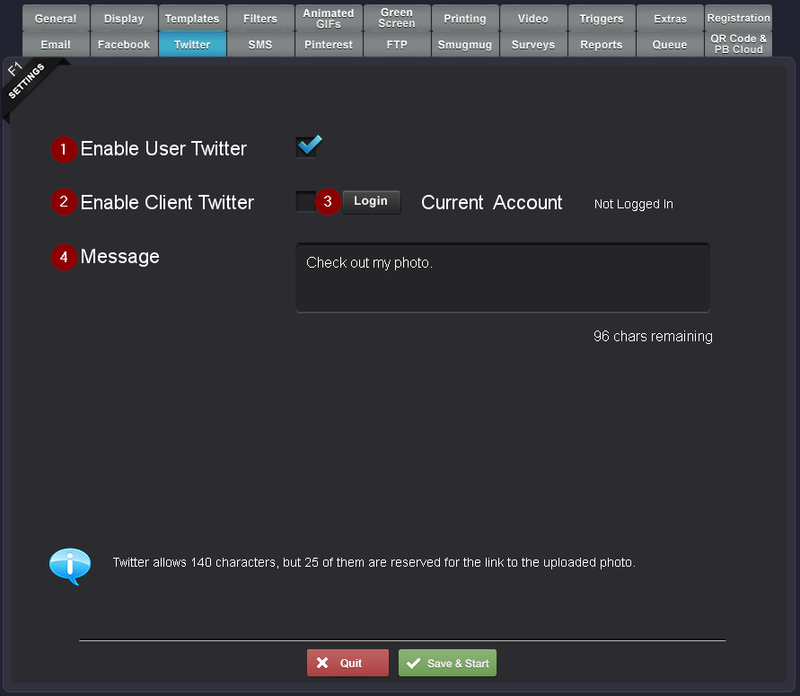 Check this to allow users to log in to the own Twitter accounts to upload. Check this and Login to a Twitter account that all photos will be uploaded to. This is the current logged in Twitter account for Client Twitter. Note: Twitter allows 140 characters, but 25 of them are reserved for the link to the uploaded photo.